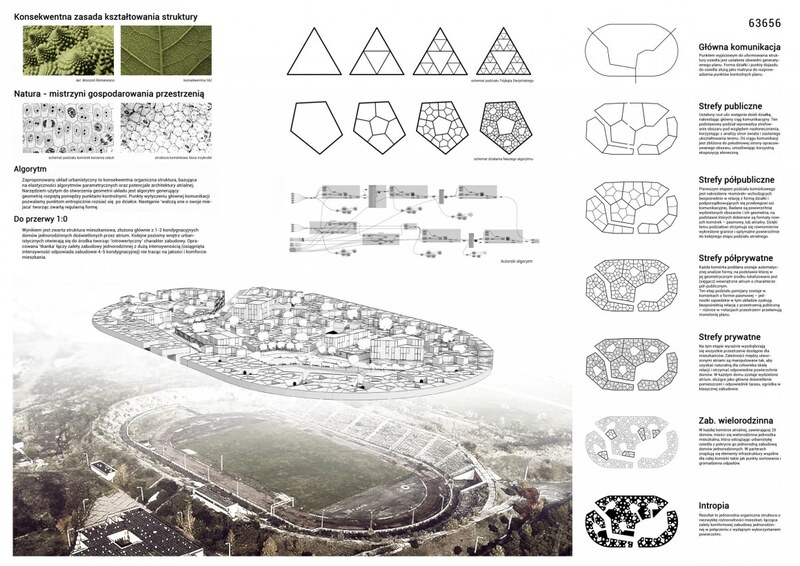 Technique from Norwegian University of Life Sciences - City and urban planning. I am studying city and urban planning, and since we don't really have one specific technique we use, I will show a project we did from last year. 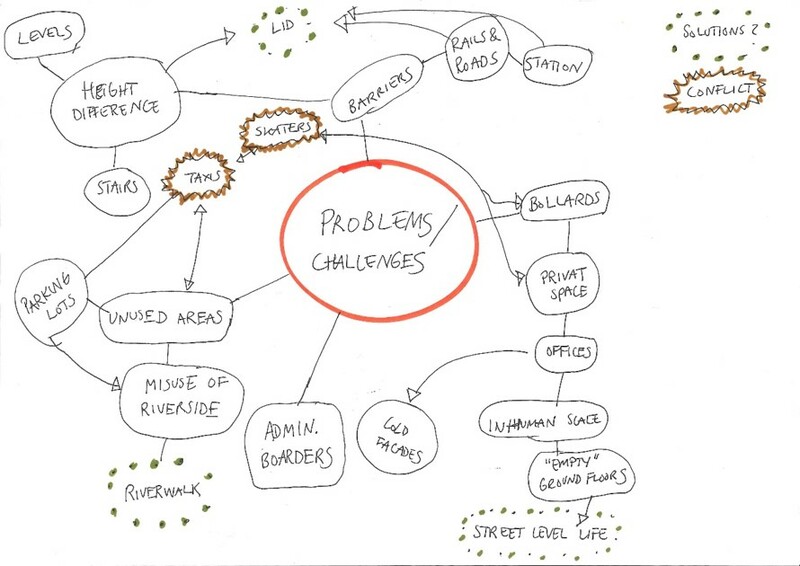 Normally we start a project with hand drawn diagrams to analyse the city or area we are working on. The next thing we do is to locate different uses of each building, and we see what works in the urban space and what does not. 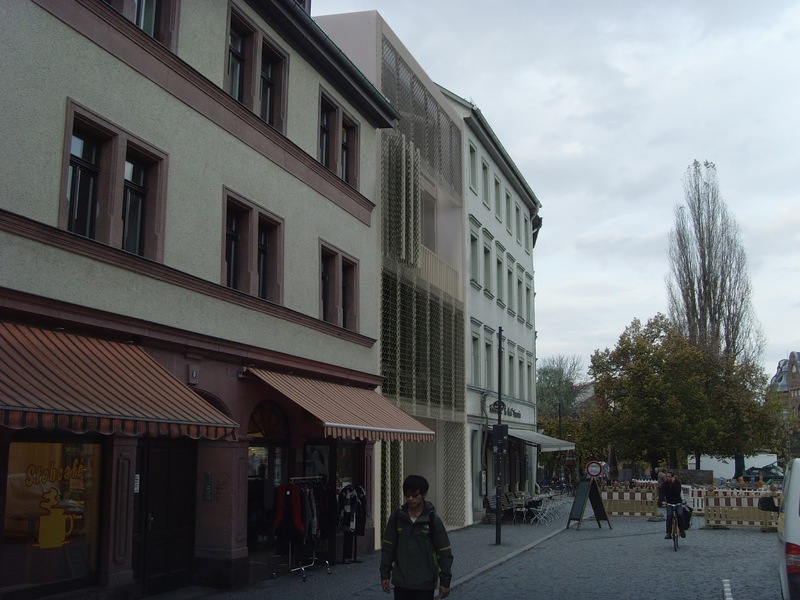 In this project we were working on how to give the place a more human scale, focusing on pedestrians. At the end we made a new plan for the whole area focusing on how the pedestrians can get a better walking experience in the area. 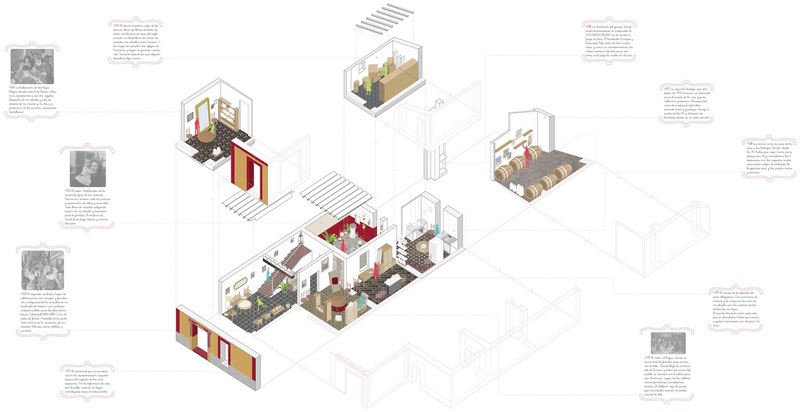 In the planning process we mostly use hand drawn sketches, and then finishing it in programs like Photoshop, Autocad, Sketchup, Illustrator and Indesign. 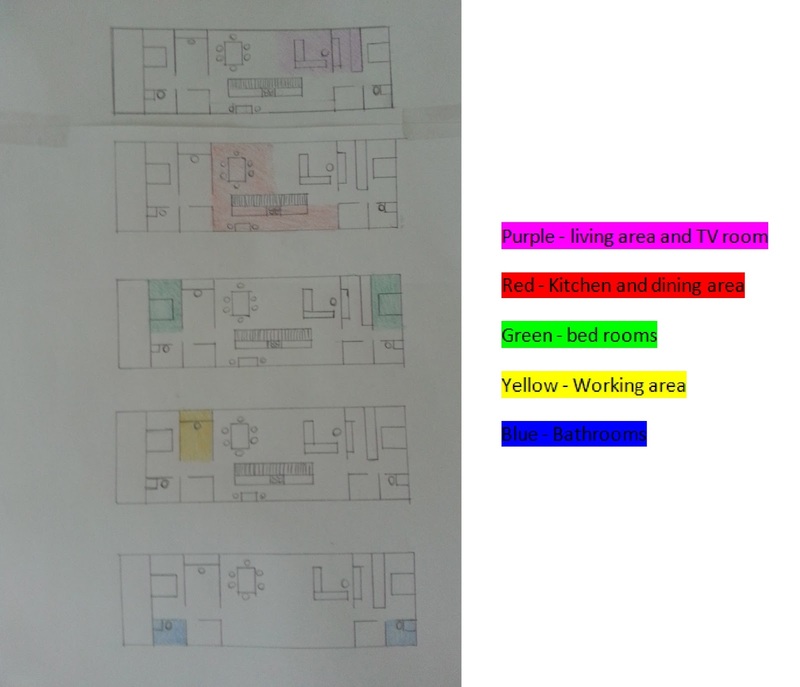 For this next task I have looked at diffrent uses of the rooms in the house like we do for type of uses in an urban plan. 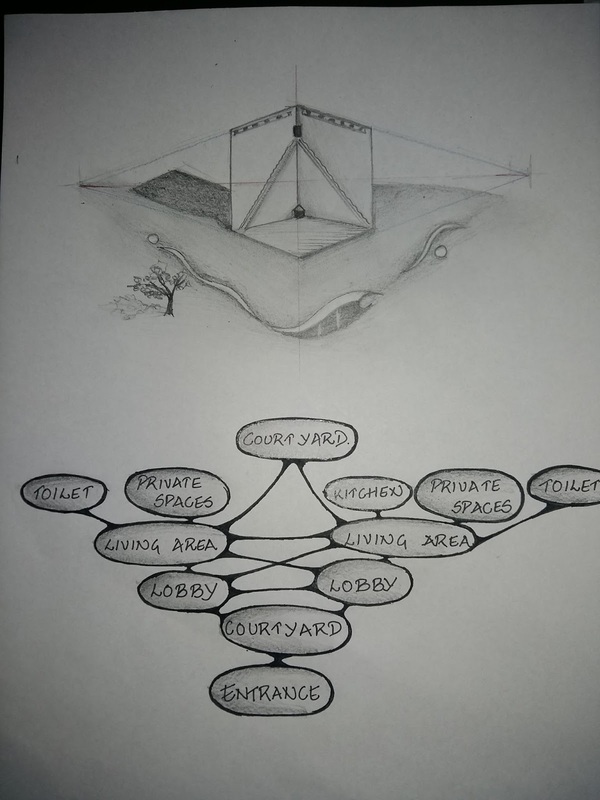 In our school we start by evolution of concet of design project by making some sketches of the idea in our mind and some bubble diagrams to work out the connectivity. 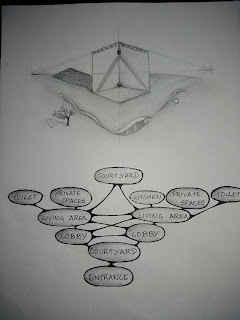 so i have drawn a perspective view of my house (house of spiritual retreat) and a bubble diagram showing its connectivity. This is a sunny day in the pool seen through the eyes of Paula. At first we are making the whole analise of a person/people for who we are designing for. We make intervious, check all the needs- because the most important is a satisfaction of a client. Then we are looking for a connection between our building and the surrounding. We are trying to use and design the whole space- including mostly the nearest space one. 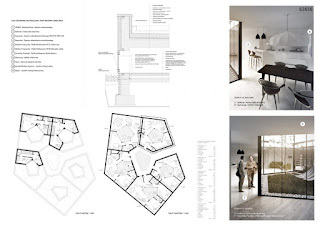 We are also trying in most of our projects to keep the relations between buildings –lines of windows, proportions of the floors, uniformity of the materials. And the last part is to create a „net” under our beginning- we belive that people are feeling in the best way in the regular space- if the building has a right proporcions and the walls continues on the lines of the net-so the plan is showing some repeating rule- than we get very „clen plan of the building”. Because of the construction and as also sharing buildings into parts we are trying to keep the same rythm of walls or pillars to make people feel confidence in a space-not confused-to help them to know where they are in every part of building whithout knowing the plan. We all put much attencion on a construction of the building- desing modern, future buildings but also thought in terms of creating this in reality. 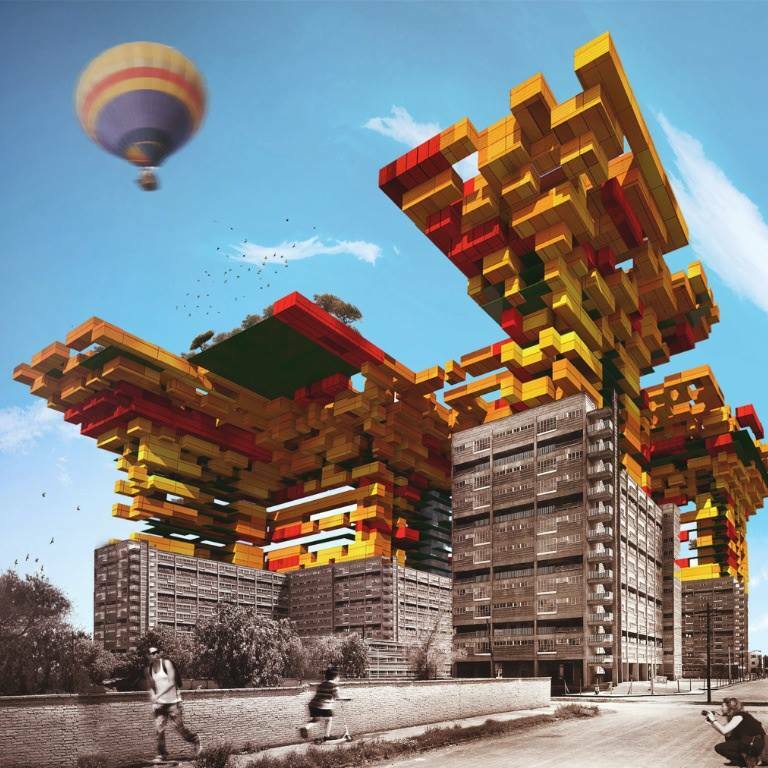 Re-living the XXI century | Arq. 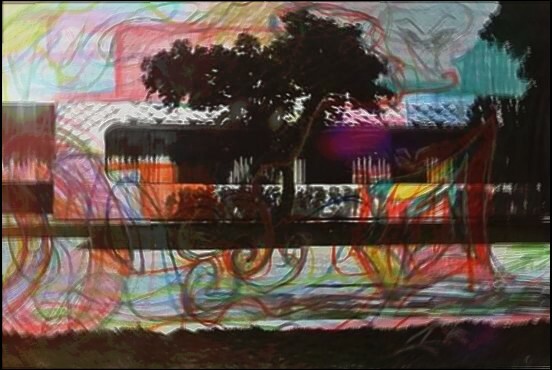 Amaury Pérez - Experimental teaching of architecture. 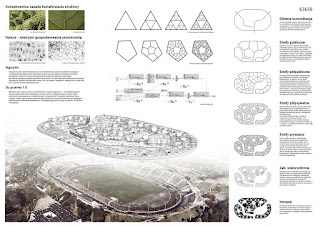 I want to show you a project of one graduated architect of my school of architecture. 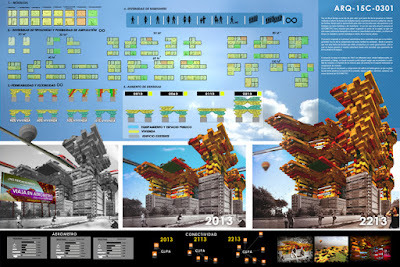 This project was a finalist in a national contest called 'Arquine'. Since I'm so interested in urban planning this is a good example of how architecture can blend with urbanism to provide better conditions and raise the quality of life of people. 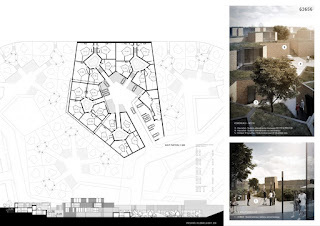 Social housing from the modern paradigm raised the generation of new housing typologies for the XXI century after reviewing the housing models of modernity, based on different criteria of density, sustainability, flexibility and cohesion with the city. 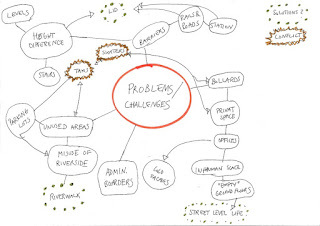 Ideas to offer solutions to urban sprawl in the future it becomes insistent. Thus, the competition suggested a scenario for "live again and renew: reuse in the simplest way, uninhibited and true, with the assurance that the spaces we inhabit, rather than undergo reforms, should reform the way they are used, considering the dwelling as an activity that contains all uses of architecture ". Today, time is a luxury high value, much of the day is spent in traffic, so saving time is to raise the quality of life of families, the objective is to be with loved ones more and so strengthen family and civic ties. 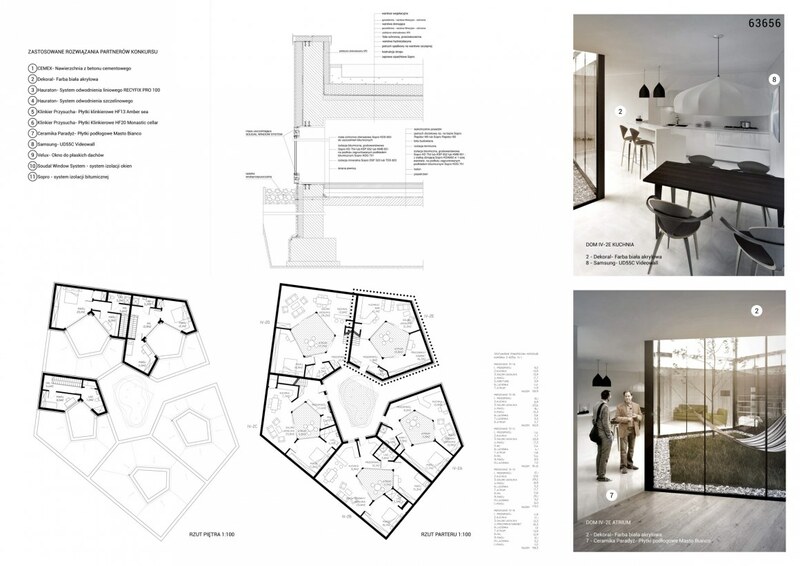 The project is based on modules of 10m2 with different uses, from housing, leisure and work, where the user can purchase according to their needs and the number of modules in order to add structural support in the composition of housing. That is why the growth and composition of the building is heterogeneous and arises randomly creating housing, public space, services, commerce and the new 'AEROMÉTRO' terminal. This project proposes the 'AERÓMETRO' as a solution to attract employment to the center of the city, because with this new transportation system connectivity is favored with the city and saving time transfers to strategic points within the urban area. The project responds to the main feature of modern society that it is: diversity, today the household composition has changed, from the person living alone until families that are comprised of several generations, to which is to generate structural support where this society will randomly generating space. Since I am studying the construction of buildings and not architecture, I hadn't good examples of designing techniques from my university. A project in the first block of the 2nd year. 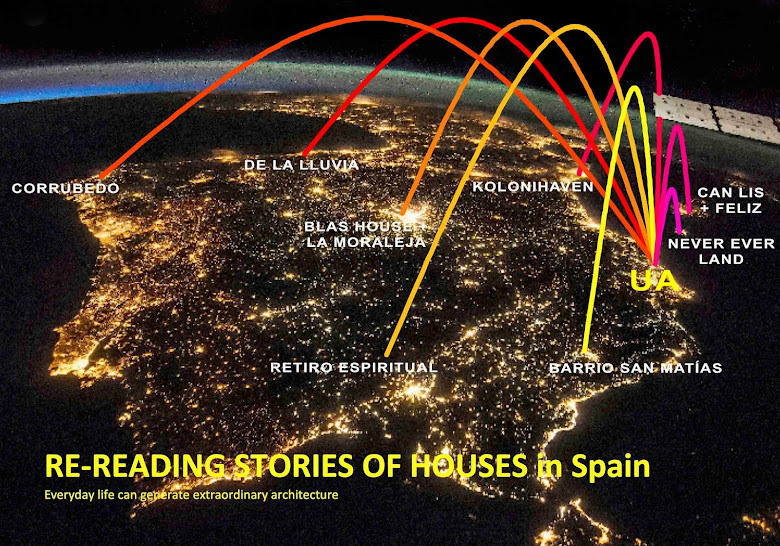 We we're working not only with architecture, but also with building economics and civil engineering. The attempt was to learn working with different studies in 1 project and develop our teambuilding. 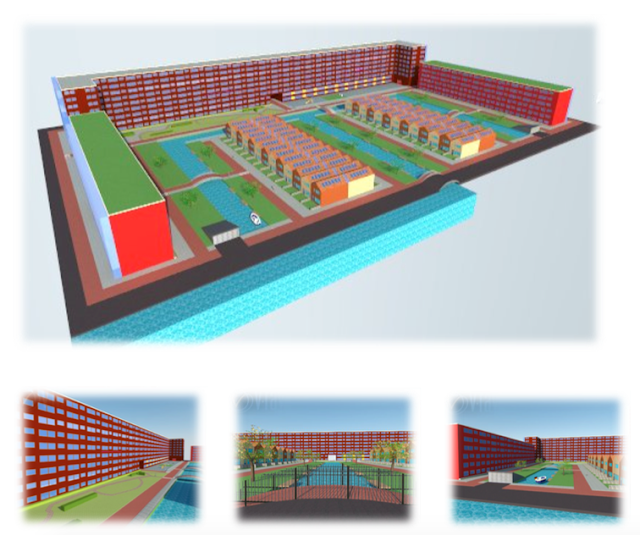 The project was a piece of land near the Amstel in Amsterdam. In short: the architects designed the buildings, the engineer calculated the structure, the urban planners designed the urban planning, the civil engineers designed the bridges and the building economics calculated everything. We worked in Revit Architecture and Revit Civil. The building economics putted everything togheter in Navisworks. In Navisworks you could see where there were clashes in the final product. We had to solve all the clashes, put it back togheter, solve the clashes etc. This is the final product. Since it was just at the beginning of year 2, the design is very simple. Also it was very difficult to work togheter with 8 people from 3 different studies. 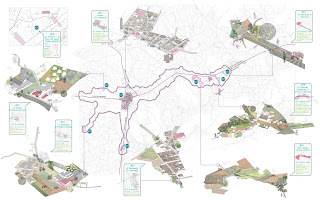 This project is based on the ideas of family heritage, community and ecosystem. Families usually tend to grow in disjointed locations. This project tries to reconvert the family into a permeable ecosystem, giving rise to architectural projects that promote coexistence and the unity of the family. The houses -before being considered ruins- are reconfigured to meet the habitat functions and they are adapted to the present. Furthermore, this project takes into account the personalities of the members in addition to balancing privacy/interaction duality. So architecture is able to become an intermediary between past and future , history and contemporaneity , desires and needs . Therefore this proposal hypothesizes this possible future.